I think most of us can agree that there are some things you hate passing up on, but at the same time you wish there was an alternative. I feel this way about doughnuts and cupcakes, but I won’t lie those are sacred and I will never try to find a replacement. When I started flexible dieting the idea of protein cheesecake was one of the most glorious concepts ever. 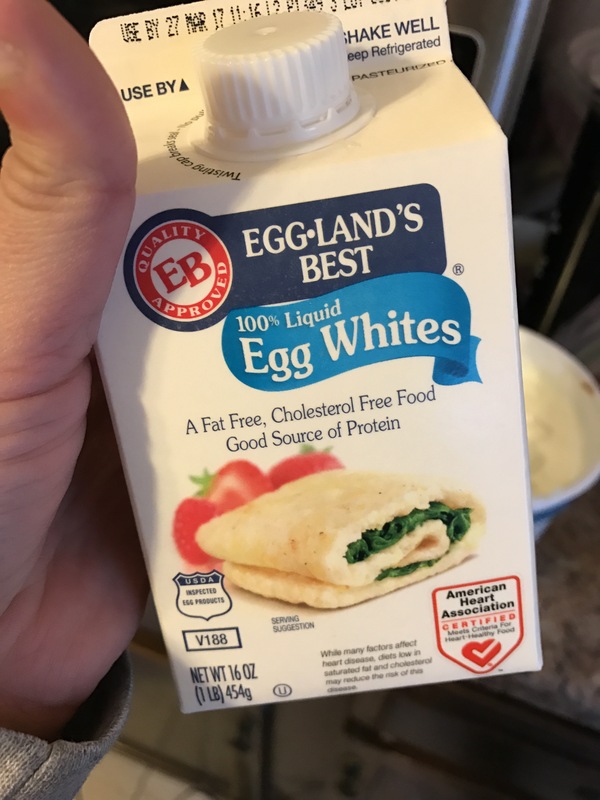 I’ve tried different recipes, one or two maybe posted on this blog, but as I’ve evolved in my knowledge of flexible dieting and exhausted myself in the kitchen, I realized some things can’t be completely left out just to make something healthy taste like the real thing. Right now I’m talking about fat. 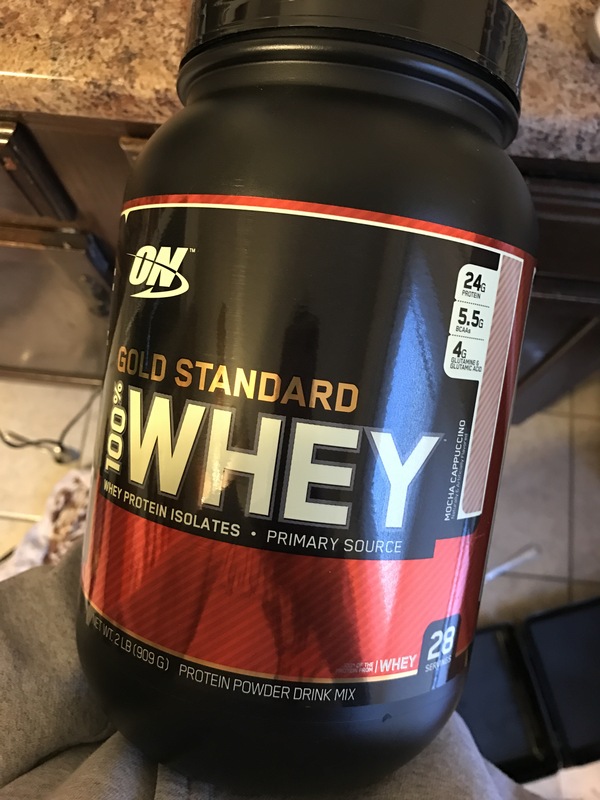 Last week, I played with a new protein powder I bought on sale – mocha cappuccino from Optimum Nutrition. It’s a whey isolate, which is different than a blend. 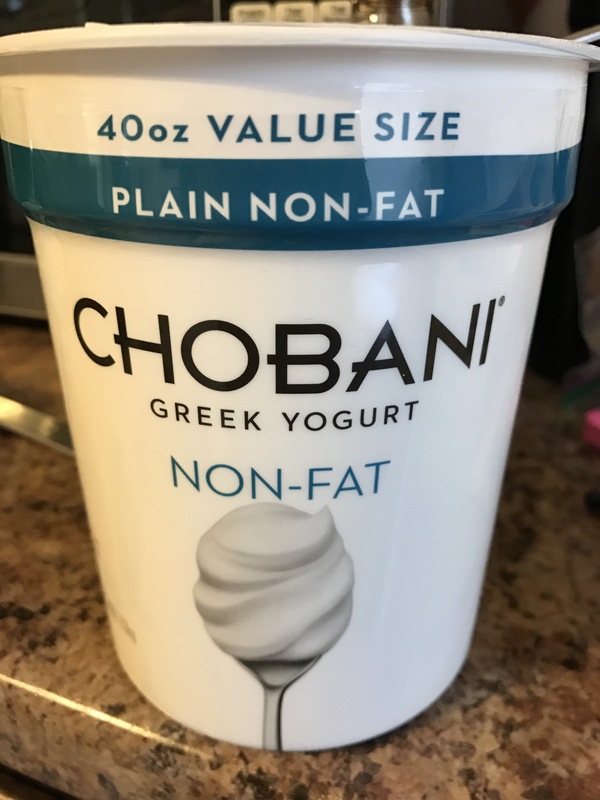 It’s thinner for one, but it also doesn’t add fluffy or thickness like a casein blend does when mixed with other things. To make cheesecake no- bake I couldn’t use whole eggs, but I knew I needed to keep fat somewhere otherwise the texture would be spongey and while I can tolerate that, I don’t want to if I don’t have to. This is something I’ve dealt with when making other recipes, but I’m over that nonsense. Either it needs to have some fat to be smooth or I don’t want it. 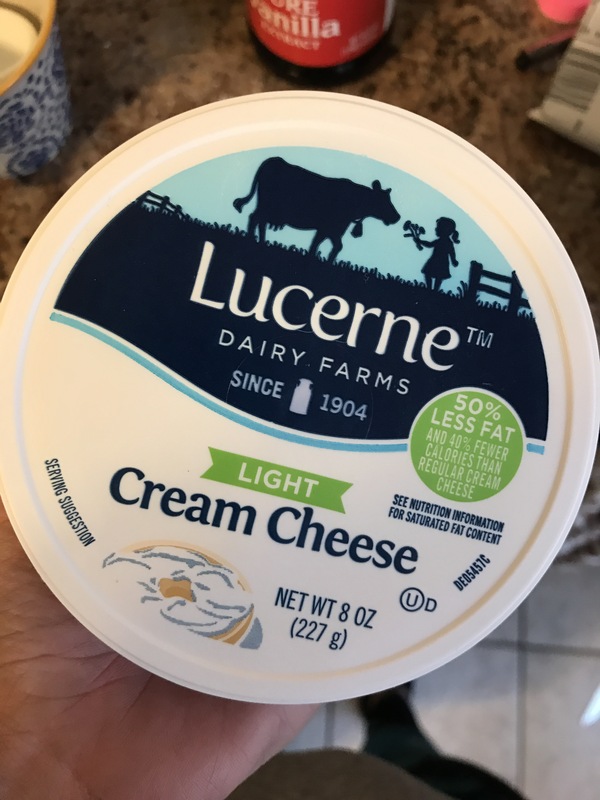 My fat source was light cream cheese, enough fat to have flavor and texture, but less than normal so that my macros wouldn’t be blown out of the water. What happened in the kitchen was magical and I felt kind of silly for not trying to find a no-bake recipe sooner. So here it is. Play with it and let me know your thoughts! In a mixing bowl, add cream cheese. Put in the microwave to soften. Heat for 20-30 seconds at a time. I needed about a minute and 20 seconds. With a hand blender, mix the cream cheese until smooth. Add yogurt and blend. You don’t need to use 0%, but if you’re trying to keep the total fat content down then it’s highly suggested. 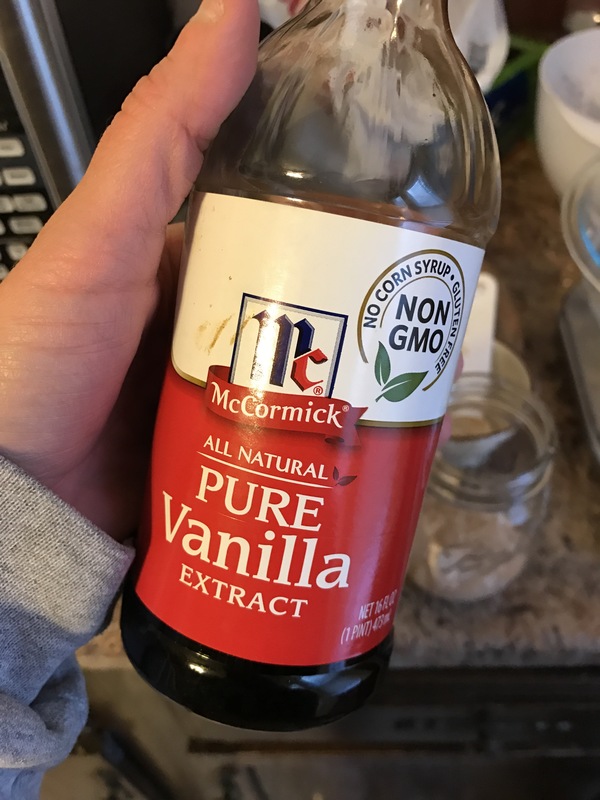 When thoroughly mixed add vanilla extract. I used 2 teaspoons, but this is completely on preference. Blend until smooth. Add in egg whites and 1 tablespoon of Splenda. At this point it should taste like cheesecake, this is the basic form. Pick your protein and add it slowly while blending with the hand mixer and scraping the sides as needed. I used a whey isolate, using a casein blend may make it thicker – if that’s the case a little almond milk or water may help with consistency. Since I track my macros very closely I weighed the total batter and then divided by the amount of servings I wanted. For this I wanted 4. These macros are slightly rough, but it’s really the best way to be as accurate as possible. 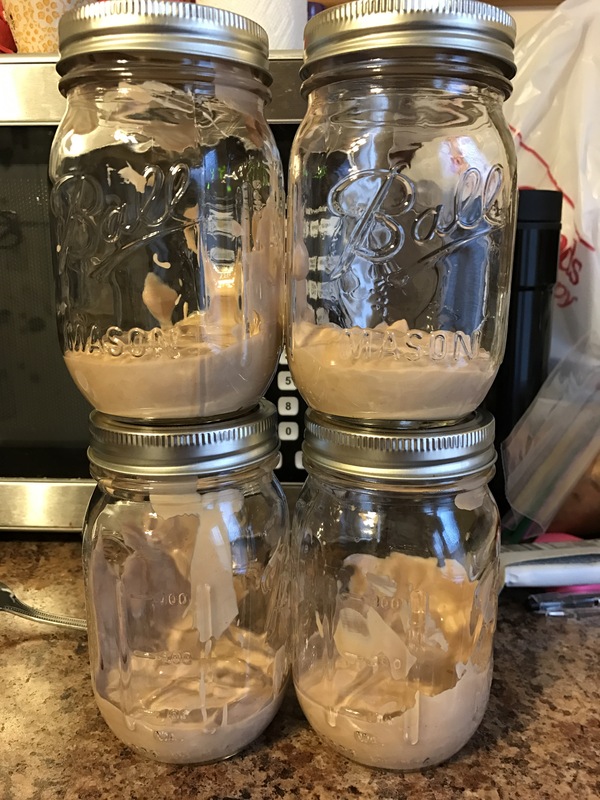 I divided the filling into 4 mason jars for easy storage and travel. I let them sit in the fridge for at least 2 hours before consuming. I topped the cheesecake filling with 1 tablespoon of crushed graham cracker from Keebler. You could also use the mini pie shells Keebler makes or Goldfish grahams. Macros for just the filling: 9.6F/5.8C/15.5P – nutrition may vary depending on protein and cream cheese used. Try it out and let me know how it goes! What protein do you think you would want to try using for your filling?